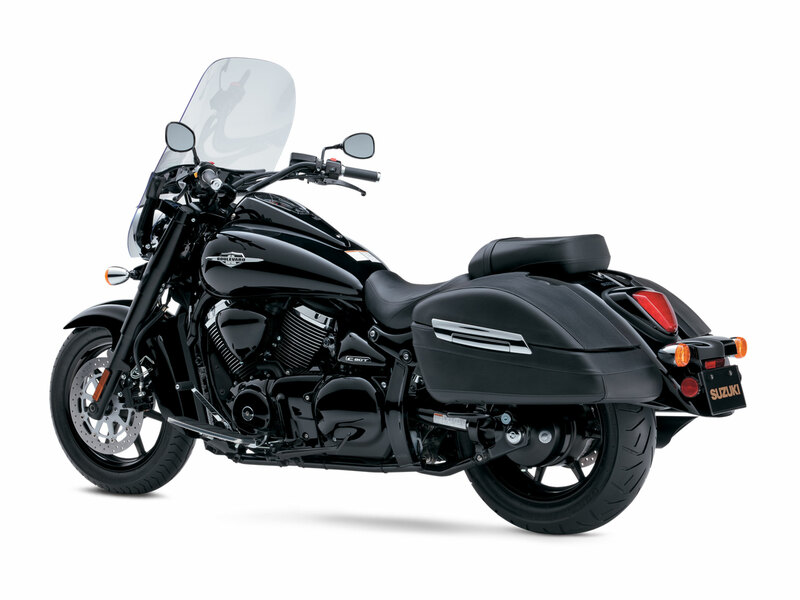 Meet the new 2014 Suzuki Boulevard C90T B.O.S.S. When you ride one, you’re literally the king of the night. 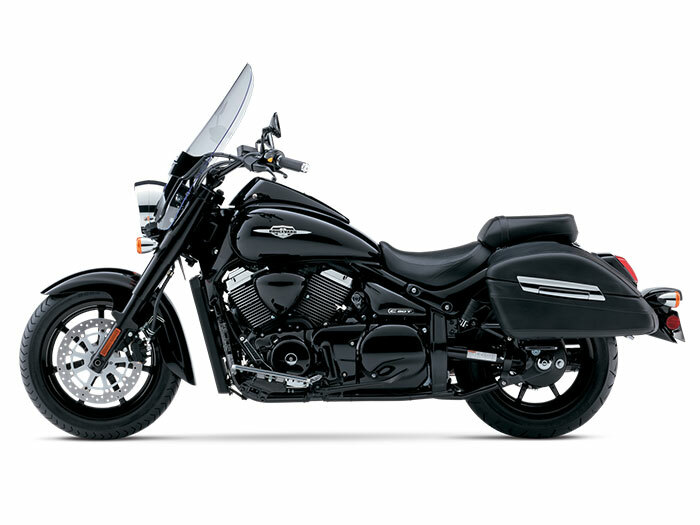 Now you have the opportunity to experience its powerful 1462cc long-stroke, liquid-cooled, 54-degree V-twin engine with its blacked-out styling. It’s not the only thing that’s blacked-out! The C90T B.O.S.S. 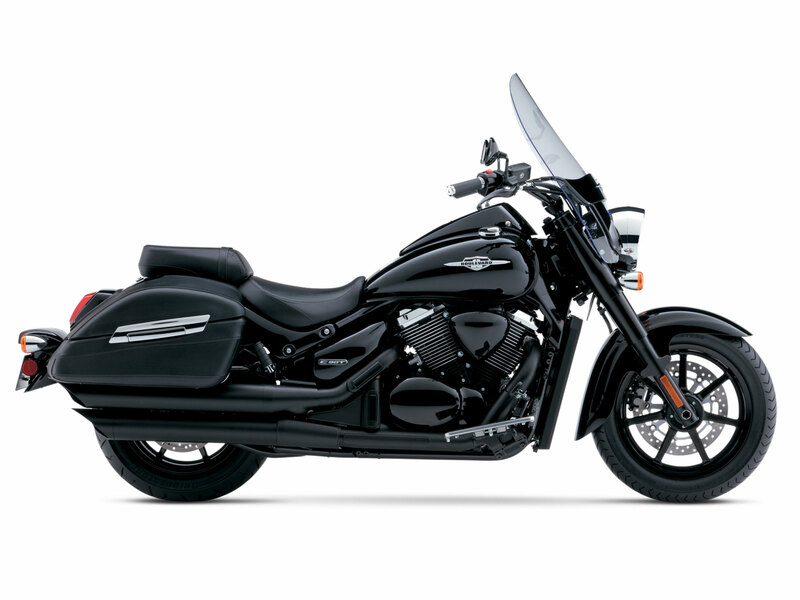 comes with all-black wheels, blacked out forks, blacked out exhaust system, and more! Bold yet retaining its classic styling, the C90T features fully integrated black hard side cases and a comfortable passenger seat all behind a large windscreen to deliver the complete touring experience. 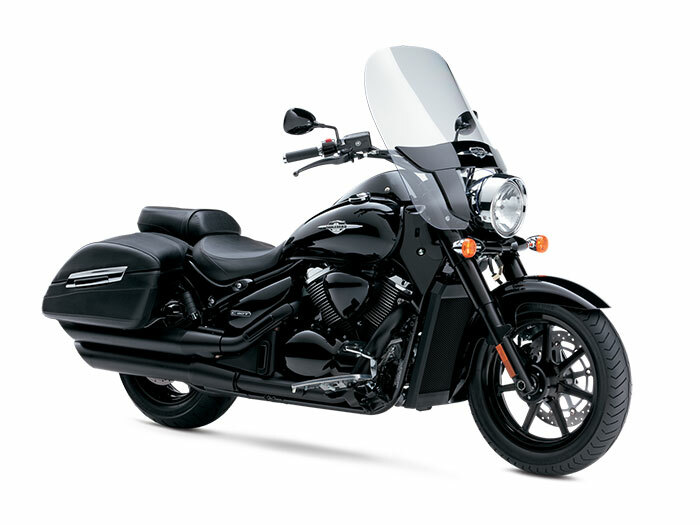 It also has a spacious riding position and a smooth suspension for comfortable cruising. With a multitude of features, the C90T’s sleek black styling will draw onlookers over for a closer look. Own the night. The C90T B.O.S.S. is the first SUZUKI BOULEVARD to come from the factory as a blacked out model. It comes with hard saddlebags that are made of durable, impact-resistant ABS plastic under stylish covers custom-matched to the seats. They’re designed as part of the bike, not as luggage add-ons. Design engineers married the desire for time-honored appeal with the need for modern performance. 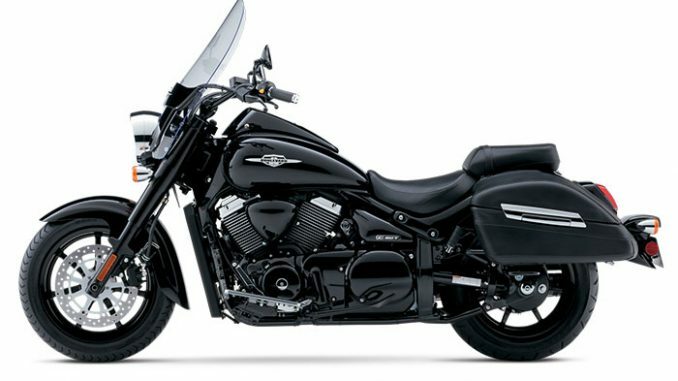 The result is a traditionally styled cruiser featuring a rider triangle – footboards, handlebars, seat position – that delivers classic control with outstanding comfort. Wide handlebar and seat design, plus wide/low fuel tank shape add to C90T’s low-slung look.